I’ve already done a review of Asura’s Wrath, and it was near 2500 words long, and really I only scratched the surface of the game. There’s so much going on that I couldn’t possibly cover it all in the initial review. I really wanted to get into the subtle nuances that occurred throughout the game, and point out the great characters, and the unique storytelling elements. In fact, I think I will, right this very moment. One of the most bombastic, fun-loving and downright awesome characters I’ve ever encountered in a game, Augus is Asura’s teacher and mentor in the game. This huge, larger-than-life man has a massive appetite for all of life’s pleasures and disdain for anything that doesn’t directly contribute to his pleasure. Surrounded by arrogant, sadistic and perverse Deities, Augus is perhaps the most sympathetic enemy you encounter in the game. He doesn’t really have an agenda and he doesn’t believe in anything other than himself and his own pleasure. In fact when the moment comes to confront his old student, Augus invites him to his expansive villa and plies Asura with wine served by two scantily clad women. They laugh, they drink and then they fight. And then Augus impales Asura with a sword so long it literally comes out on the other end of the planet. No joke. The fight between Asura and Augus plays out much differently than every other boss fight in the game, which suits the tone of the scene perfectly. Whereas all the other fights are about struggling against the cruel and malevolent bastards that seek to control the world, the fight between Asura and Augus is just a fight. There’s no higher meaning (until the end, but I’ll get to that in a moment) and no larger-than-life consequences at stake here, it’s a battle between two good friends who have ended up on opposite ends of a war. Augus is in it purely for the enjoyment of the fight, and Asura fights because Augus is standing in the way of his goal of defeating Deus. What’s interesting about this fight is that it reveals a very fine distinction between the characters, a distinction that makes all the difference in the world. Asura doesn’t respond, but then he doesn’t really need to, the audience can work it out for themselves. Asura is different because he believes in something, he’s not simply fighting for the sake of fighting, there’s a reason for his fury and a goal he’s driving toward. Augus is purpose-less, he has no direction, nothing driving him beyond lust for violence, and absolutely no belief in any cause. And that is what eventually destroys him, because in lacking purpose himself he also lacks the ability to understand how a purpose can give a person strength. After impaling Asura with his sword, Augus believes that he has won, but he doesn’t take into account the passion and purpose driving Asura. Asura taps into his desire to save his daughter and defeat Deus, finding a secret well of power that he uses to literally snap Augus’s sword and use the shattered blade to kill Augus. And yet, in the end, Augus seems content for the first time in his life. Asura was his favorite student, almost a surrogate son to him, and I think in the end Augus was glad that it was Asura that was finally able to defeat him. Augus lived his entire life waiting for the person who would finally be able to defeat him, and in the end it was the one person that Augus cared for, what more could he have asked for? So the game goes through great pains to replicate the look and feel of watching an Anime TV show. My major complaint about this method of storytelling is that it ruins the excitement of the moment. While I appreciate that they wanted this game to feel like an Anime show, I think many things could have been left out and still stayed true to the Anime format while also improving the game experience. For instance the recap was completely unnecessary and the “coming up in this episode” sequence had the unfortunate habit of spoiling all the big surprises. That’s a big no no. This only happens on TV shows because they want to keep the audience hyped up and make them show up the following week, otherwise there’s no more show. But this is a video game, we’ve already paid for it, it’s not likely we’re going to not show up. So in the end, it just spoils all of the exciting surprises without really adding anything to the overall experience. That said, I think there’s something to this kind of storytelling. Asura’s Wrath plays much more like an interactive TV show than a game in the traditional sense, and that’s not a bad thing. Sure, it’s not as freely interactive as game like Skyrim or Total War, but then as someone who loves storytelling I’m okay with that. The Anime show presentation of the story distanced me from Asura and allowed me to appreciate his character. See in a more traditional video game where you control most if not all of the characters movements and actions, you can sometimes end up playing a character much differently than he was intended to be. Haven’t we all played through Half-Life 2 and suddenly gotten the urge to run around breaking open all the boxes with our crowbar, or shooting up the joint simply because we could and/or bored? It’s not just silent protagonists that suffer this either. 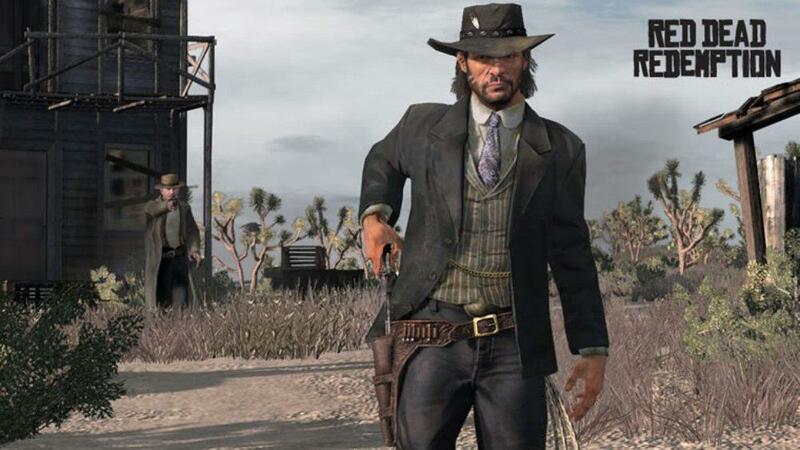 John Marston, in Red Dead Redemption, is a good example. At the end (Spoiler Alert) John Marston is cornered by some federal marshals and gunned down, now taken in context of just the storyline, it’s quite a poignant and moving scene. Unfortunately, by the time I got to the end of Red Dead Redemption, I’d encountered dozens of fights with longer odds than that and come out alive. I played as a straight outlaw so I could enjoy killing the Army platoons the Federals sent after me. When I first saw the ending, I thought it was kind of stupid, because by the end of the game I’m pretty sure I’d racked up a body count that would have made Gettysburg seem like a tiny skirmish. You’re telling me Marston, the finest gun in the west and murderer of entire armies, is gunned down by a handful of federal marshals? If I’d been in control, John Marston would still be alive. It wasn’t until several months later that I went back and looked at the ending again, set aside my own experiences in the game, and looked at its story elements and themes, that I truly appreciated what the story was really about. It was about Redemption. Huh, imagine that. The point being that taking away some control from the player isn’t necessarily a bad thing, and as much as I love Red Dead Redemption, I think its story might have benefited from taking a little control away from the player. 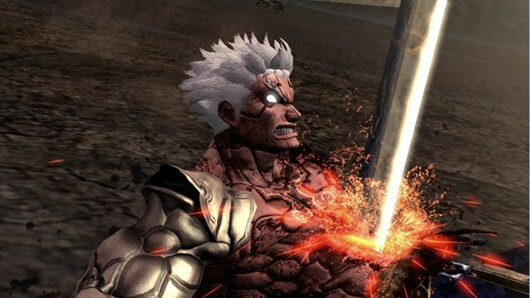 Asura’s wrath, by limiting what we could do with the title character, made sure that the story remained focused and the motivations of our character was clear. Okay, so Asura’s Wrath fumbled the ball with the actual presentation of this type of storytelling, but I still applaud it for trying something different. You want to know something funny? 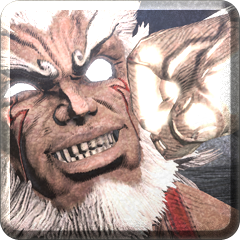 I didn’t like the ending of Asura’s Wrath. Seriously, after destroying false gods and a giant planet-sized demon while fighting in the Earth’s Core, it seemed like a bit of a letdown that theysimply return to the now destroyed Bahmastra and basically have a group hug before cutting to the credits. All the themes and character development were cut short in exchange for a cheesy ending that more suited a Die Hard movie than an epic tale of vengeance, acceptance and self-determination. And then I found out that the ending I’d seen was just a placeholder for the actual ending. Really Capcom? How do you screw that up? Still, at least Bioware was good enough to release an extended cut for free. Capcom had the gall to actually make you fork out real money for the ending that should have come with the game! Full disclosure: I didn’t give Capcom a dime, I watched the “real” ending on Youtube. All that said, the true ending was really a great way to end the story. As I pointed out in my original review, the ending allows for all the character development to reach their logical conclusions, and the overarching theme of love, anger and acceptance were allowed to be played out. The final battle with Charkvartin is as much a philosophical debate as it is a game of fisticuffs, with Charkvartin representing fatalism and control while Asura represents freedom and free will: the ability to choose our own fate. So yes, Capcom royally screwed up by not shipping the game with this ending, but placing that aside, the new ending was infinitely better than the original. I agree with you about Augus, he reached new levels of uber-badassery. Ten bucks he would literally have an orgasim if he was offered the chance to fight Charkavartin (I bet he could actually do it). The tv show comment seems reasonable since I enjoyed but at the same time was a bit agitated by the lack of control we get over Asura/Yasha. I didn’t feel like it was a true game in the traditional sense of the term but it gave me a sense of epicness in the stories body that other games lack at the climax but the preview thing was annoying sometimes. Like before the final Yasha fight for instance, I was pissed that the preview spoiled the fact that I would have to fight him, or before the final episode where we find out that Asura would become as big as the plant. Things like that kill the surprise element for me. I also hate hate HATE when a character like Nico Belic, Master Chief or John Marston is beaten or subdued by an enemy in a cutscene that I could beat in 10 seconds of gameplay. I paid for the ending, sue me. I hate the business practice but there was originally going to be a sequel but they realised there wasn’t enough material to work with to make one without getting a whole new cast excluding Asura and Yasha. So they just made it DLC, but they should have made it free. I wanted to beat God and experience the joys of flying through space dodging entire planets myself rather than watch some other guy do it. I think you were right about the original ending even though it kills the circular narrative structure, but they should have done more foreshadowing and characterisation of the spider so the twist that he’s God would be believable. That’s interesting, if the DLC ending was actually just a sequel turned into an extra chapter, I don’t have such a problem with it. This is me coming to the game nearly a year later, so from my point of view it looked like the DLC ending was just being dangled in front of me rather than being on the disc. Thanks for the info. I’m certainly not looking down on anyone who paid for the ending; I blame Capcom for using such a poor marketing strategy. I agree they definitely needed more characterization and foreshadowing on Charkvartin. 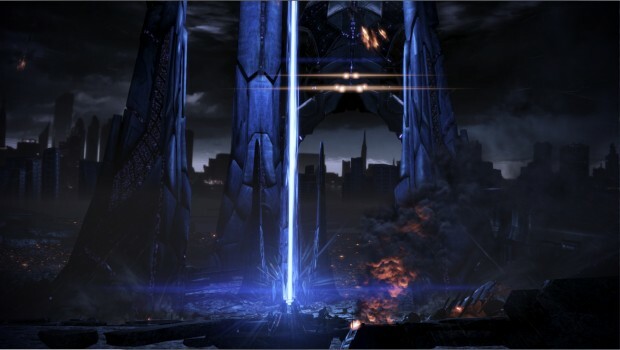 His appearance as the villain was much the same as the AI Gods appearance in Mass Effect 3; ie he’s suddenly just plugged into the story with no foreshadowing or characterization. I’m much more willing to forgive that in this case though because even though he didn’t get sufficient development, Charkvartin at least fits into the themes and plot of the original game.